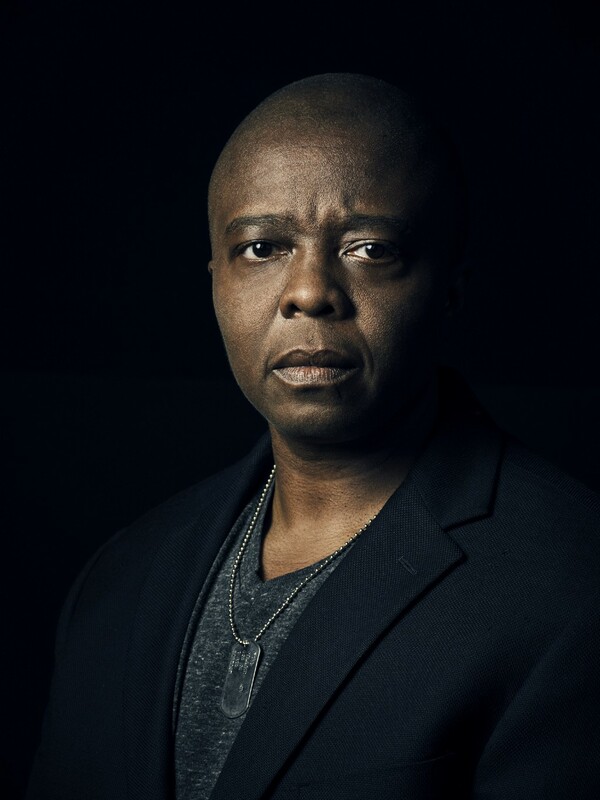 Yance Ford is an accomplished documentarian and visual artist and a transgender black American from Long Island. His big brother William Ford Jr. was killed in 1992, just a week before Yance’s 20th birthday, when he was shot in the head by a 19-year-old white man during an argument at an auto garage. William was unarmed, but his killer was never prosecuted, and everything from the way his mother was treated at the crime scene to the way his personality and character was examined by the police following his death created additional pain for the close-knit family he left behind. Earlier this week, I spoke to Yance about his family, his film and the racial fear that still plagues the country. The interviews in the film, especially your own, are so vulnerable and powerful. How used to talking about these experiences were you prior to filming? I didn’t have any of these conversations preemptively. And so I was definitely hearing some of this for the first time. I told everyone in the film that I was making a movie about William’s murder and wanted to interview them. My mom, my sister and my brother’s friends each intersected with William at different points in time, so each brought an understanding of who William was to the table. Part of what the film does so well is to reveal — with each return to the garage [where he died], we learn something new about William. My own interviews went the same way. We shot them over the course of about five interviews. The questions that were asked were arrived at by way of the editor and a few other people involved with the film. To get out of my headspace as a director, I had a wall of sound blankets suspended from C-stands between the crew and me. All of the lights were turned off, and my incredible cinematographer created this black void through lighting. There was a feed from one of the cameras back to the person who was interviewing me, so he could see me, but I couldn’t see him — or anyone else. I was interviewed from behind this wall, which created space for me to be vulnerable, to say things for the first time and to help break through my lifelong habit of hiding behind language in a way that keeps me from being too emotional or vulnerable. Did you make any other projects involving your family or William’s death before Strong Island? William was killed a week before my 20th birthday. I was an art student at Hamilton College, studying photography, performance and sculpture. When I got back to campus after his funeral, I immediately started working his death into my studies. I was trying to exercise a muscle that would eventually yield this film. In 1996 or 1997, I took a film and video workshop, and that’s when I learned to shoot and edit. It’s the only film school I’ve ever had, but as soon as I learned to frame moving images the same way I’d been successfully framing my photographs, it clicked that I could actually make this film. Before that, I wasn’t sure I’d be able to, but after that workshop, I believed I could make it. Then it just became a matter of when. In the film, you say, “Segregation draws a line not just around your environment, but your life.” Basically, housing developers targeted your parents in Brooklyn because they had good city jobs, and convinced them to buy a home in Long Island. They didn’t realize how exclusively black their community would be. You compare your experience growing up there to the segregated childhood your parents experienced in the Jim Crow South. What are the similarities as you see them? My parents lived in the South during the virulent age of Jim Crow. The violence in the South was daily. My mother’s stories tell truth of what it meant to be a black kid in Charleston during that time — as well as get at other types of violence, like the economic violence of her mother having to strip tobacco for a living and the violence of a democracy that required black Southerners to pass poll tests in order to vote, including having to do these ridiculous bits of resuscitation from the constitution to prove they were literate. I show a map of Long Island in the film that’s based on demographics from 1970, and those areas marked on the map are the only places where my parents could’ve bought a house in Long Island at that time. They didn’t realize they were walking into a redlined suburb. The houses were all the same, and they were all named after presidents — so I grew up in the Kennedy section whereas Monroe was right across the street. But it was still segregated. This kind of segregation was economic and educational. It placed an undue burden on families. In talking about the white man who killed your brother, you mention never having specifically imagined the way he looks. Instead, you say, “No offense to present company, but he looks like every white guy I’ve ever met.” Many people who haven’t lived as black Americans have a hard time understanding statements like this, just as they have a hard time understanding why the police make so many black Americans feel unsafe. Can you explain some of this dissonance? Culturally, one of the things we’re grappling with right now is fear of black people. Or to quote one of the seminal albums of early hip hop, there’s a Fear of a Black Planet. However you say it, though, there’s an irrational, unfounded fear of almost every black person, in every encounter, that’s resulted in the loss of so much life. Whether it’s a black person who knocks on a door in the middle of the night and gets shot with a shotgun, like Renisha McBride, or Trayvon Martin, who was murdered in a state where “stand your ground” laws means his murderer doesn’t get punished. These deaths, like my brother’s, are based in white people’s fear. Yet we know that most crime against white people is committed by other white people. Whereas black people have a legitimate reason to fear white Americans because of the history of violence of this country. I don’t think white Americans understand that the anonymity of whiteness not only protects them from being accountable for their actions, but also allows them to feel as though they’re not somehow complicit in this fear of black Americans. 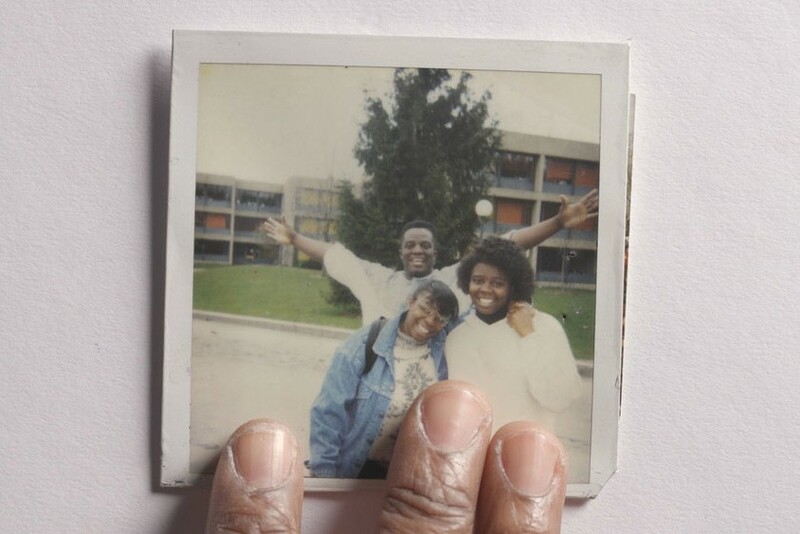 One of the most sensitive parts of your film is hearing your mother reflect on how the trial was handled—not as a murder case but as an investigation into who victim was, as to somehow justify his death. There’s particular attention paid to William’s size and physicality. Do you think by bringing up your brother’s size so often, those involved with the case were perpetuating certain ideas about black masculinity? Yes, William’s size was raised because it’s associated with this sort of hypermasculinity associated with being a black man. It’s this inevitable Incredible Hulk syndrome. My brother was referred to as a large, large, large guy. In the coroner’s report, he’s described as obese and short. You realize the perception of William and the reality of his body are so far apart. But in the mind of the man who shot him — and therefore the official narrative of this crime — William became and remains a large individual of whom it is logical to be afraid, even though only one person in that situation had a gun and it wasn’t William. At the beginning of the film, you say that you and your siblings were always taught that you must love each other actively. How did William’s murder and the subsequent grand jury trial, in which no one was prosecuted, affect that edict? Nobody is prepared to handle such a thing, but I do think all of us, especially my mother, expected some sort of due process. When my parents realized how much of the investigation was focused on an altercation William had at the garage three weeks earlier, the extent to which he was being characterized as a physical menace and the fact that the police were interviewing many of our neighbors about William’s behavior, they were deeply disappointed. It felt insane. Afterward, my parents just wanted to protect their two remaining kids, because the threats and intimidation we experienced around the case and trial were very real. We all slowly backed into this silence to protect each other from the pain we were experiencing. But that silence eventually implodes. My father had a paralyzing stroke the year after William died, and 20 years after William was killed, my mother suffered a massive brain hemorrhage. There are real consequences. They aren’t imaginary. People don’t understand that.